The Junior ISA is the new government-backed savings plan that allows parents to save up to £3,600 a year for their child. This scheme and the Child Trust Fund are mutually exclusive, which means that if your child received a government voucher to help start a Child Trust Fund, they are not eligible to open a Junior ISA. Among the biggest benefits of a Junior ISA is the tax efficiency of the account, as your child will be able to withdraw the full amount – including any interest or other growth to the fund – without paying any tax. Adults have been encouraged to shelter their money from tax by saving in an ISA for years, and now with the Junior ISA, children can also enjoy these benefits. When opening a Junior ISA, one of the parents must take the responsibility of being the designated manager of the account. However, anyone can save into the account, including grandparents, other family members, and even your child. Once your child turns 16, they will get control of their account, but will not be able to touch any of the money held within. The ability to withdraw money from a Junior ISA is granted to your child when they turn 18, which means that parents should not look to this type of account for emergency or ‘rainy day’ savings. The money in the account will be in your child’s sole control after the age of 18, with parents able to advise their child but unable to withdraw or legally affect their child’s nest egg. This has led many to speculate that parents are better off saving in their own ISA for their children, but this poses the danger that the money will be spent on something other than your child’s future. If you raise your child with the understanding that their Junior ISA nest egg has been painstakingly prepared to give them a leg up when they make their journey into adulthood, there is a much better chance that they will use their nest egg for the ‘right’ purposes. The kind of growth that your savings will provide depends on the type of account that you choose, as the Junior ISA is available both as a traditional cash savings vehicle and an investment vehicle. Investment Junior ISAs, also known as a stocks and shares Junior ISA, invests your child’s savings in stocks, bonds, and equities. Each individual provider will have different rules regulating how much control you have over the types of investments that you make within the tax-free Junior ISA wrapper. While stocks and shares accounts have historically performed better over the long term, if your child is set to turn 18 soon, a mitigating risk with a cash Junior ISA may be a good option. 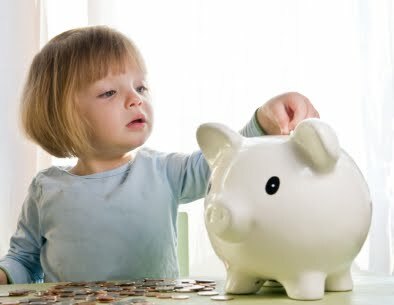 Olayinka Mutone from www.comparejuniorisa.com writes about tax-free savings opportunities for children.